Share your knowledge with your friends! Many beginners say that they seem to have understood what digital options are, but they don’t feel confident enough to put their knowledge to practice. They never opened their first trade. And the biggest question they want to ask is: where to start? First of all, you need to choose the broker you are going to trade with. Beginners should pay attention to the usability of the trading platform, because it’s where you are going to work. But you can find out if a particular web terminal is suitable for you only after you have registered with it. When you create an account, ask yourself the following questions: do I feel comfortable using this site? Is everything clear? Does registration require downloading a lot of documents? All this may be extremely frustrating for beginners. After trying to register for a certain time, they may entirely lose the desire to make their first trade. 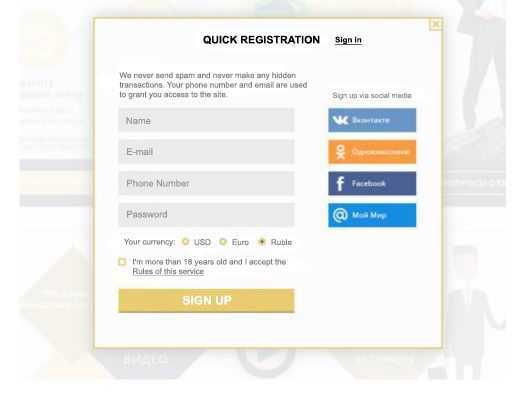 On the contrary, OLYMP TRADE offers almost instant registration (even without e-mail confirmation). 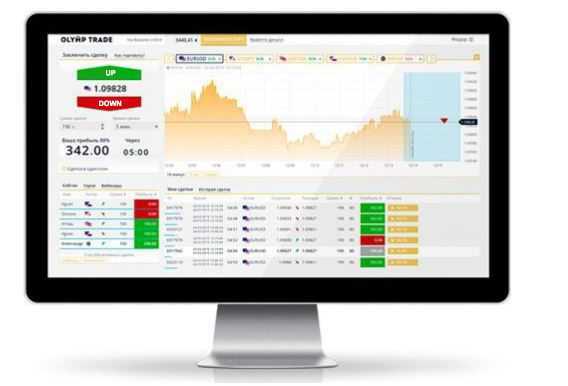 You can open a demo or real account with this broker within one minute. You should start trading on a demo account. This is a training account that has 10,000 virtual dollars on it. Here you can trade to your heart’s content without being afraid to lose your real money. The real digital account is a platform for earning real money. You have to make a deposit to this account before you start trading. You can do it for example by Visa or MasterCard, or via other payment systems. Usually, the minimum amount starts from 10 dollars. As we have already said, you should start trading on the demo account where you risk nothing. If you don’t understand how the trading works, you can simply click one of the two buttons: either “UP” or “DOWN”. Then you can see what will happen with your own eyes. The first thing you will see is that your balance has decreased. Don’t be scared and check the “Transaction amount” window. What amount can you see there? That’s exactly the amount your initial balance has decreased by. Now look at the chart. What is happening there? If you have clicked “DOWN”, you will see a line with a red arrow pointing down. The line marks the price level at the moment you bought the digital option. The arrow pointing down means that you expect that at the end of the specified time the price will be lower than the price level. Now let’s talk about the time! The time you have to wait to see the results is indicated in the “Trading Time” window. You can choose this time yourself (as well as the amount you would like to invest in a single trade). The blue field on the chart and the blue line below it show how much time has passed. When the time is up, your first trade will be over! If the missing amount has returned to your balance and another 80% of it has also been added, then you made the right decision by clicking the “DOWN” button. If this is not what happened, then your forecast was wrong. In this case, you lost only the amount you had invested – neither more nor less. Make a few more trades, until you fully understand the principle of trading digital options. When you feel confident, you may add to your platform a few instruments for analytics, such as trading signals widget or the economic calendar. These instruments will help you to increase the probability of success. “Guessing” is not the best strategy for you. When you deposit money and are ready to trade on a real account, try to stay calm. Invest in your first trade on a real account the minimum amount – $1 (or 30 rubles), set the optimal trading time – 5 minutes, and predict the direction of the price movement. To do the latter, you should use one of the analytical services. Now click the button! Even if the first trade is not successful, it is a big achievement! Congratulations, you’ve just become a trader and are ready to study the digital options! Invest small amounts of money, until you feel more confident. Betting one dollar at a time will help you to get rid of the fear to lose everything. And choose 5 minutes for trading period. The odds that your guess about the price movement will be right are higher this way.